High build, hard varnish like finish without sanding between coats. High gloss beauty with outstanding U.V. 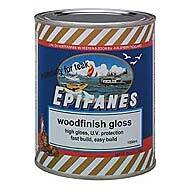 protection for teak and other oily hardwoods.